As you may have noticed from Instagram, we spent a long weekend in Stratton, Vermont last month. I had honestly been dreading the trip for two reasons. 1) It was going to be freezing. (Actually, way below freezing. And 2) I'm not a skiier and was worried I would be bored. But we had a great time! Here's a little recap. We stayed in a private Airbnb home that we "won" as part of our kids' school auction. It wasn't super fancy, but it was comfy and warm (thank god) and cabin-y (so it felt very "Vermont"), and the location was great. After a four-hour drive, we got there late on a Thursday night. It was about five degrees by the time we got there and the kids were exhausted and soon passed out in their bunk beds. The next morning, we woke up, and drove to the mountain for 9am ski lessons for the kids. It was freezing. I mean, really, really freezing. Negative three when we got out of the car. I was wearing regular knit gloves and after just a couple of minutes outside, I thought some of my fingers were going to fall off. Finally, after some convincing from his instructor (thank you, Branco! ), we got my son out there. So with my kids and husband in three hour lessons (! ), I headed to the Stratton Village Day Spa for a deep tissue massage. And it was so good. Honestly, one of the best massages I've had in years! My therapist was Dani and she was amazing. I basically floated out of there. I then headed to the lodge to read and watch my iPad until everyone was done skiing. At noon, we picked up the kids, grabbed lunch, and then headed back to our cabin to relax. Then, we basically repeated this exact routine for the next two days (when it warmed up to a balmy 10 and 20 degrees, respectively). All in all, it was a great, quick trip! 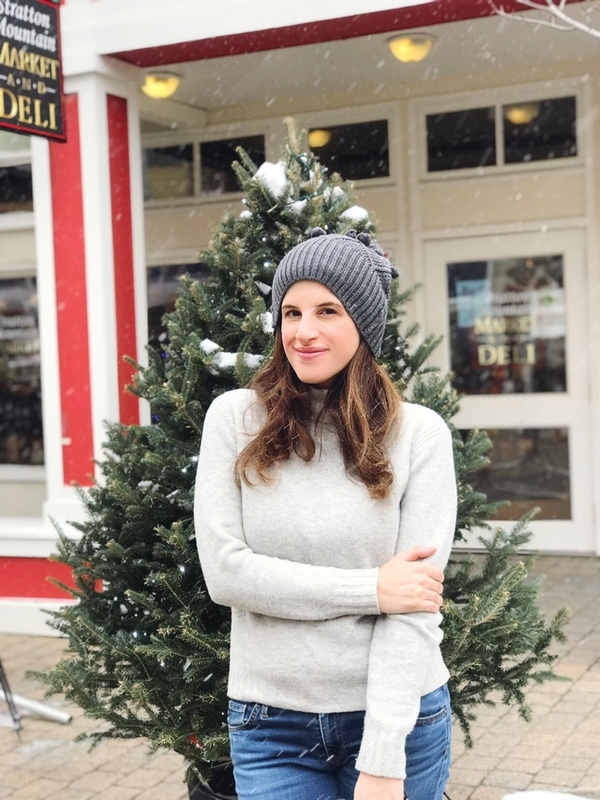 My kids and husband loved the skiing; I loved the relaxing and the precious alone time. We all wish it would have been a little warmer, but after that intial shock--and with plenty of layers--it wasn't that bad. 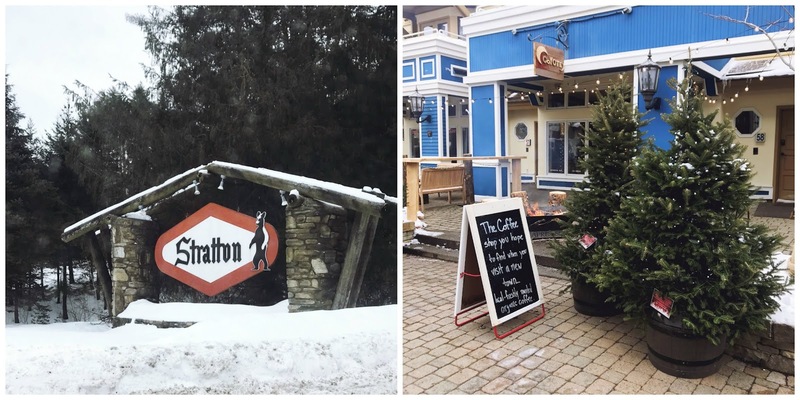 Where it is: Stratton is a four-hour drive from New York City; just under three from Boston. 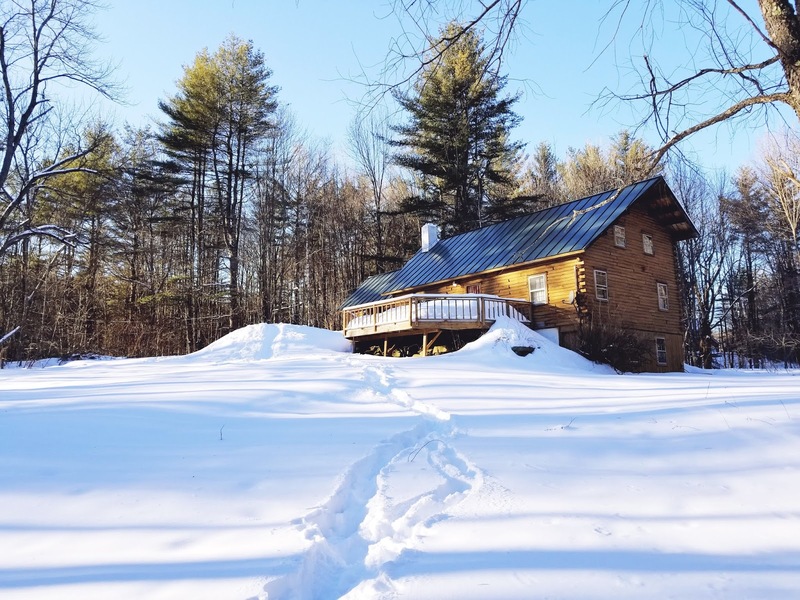 Where to stay: There are tons of condos on Stratton mountain, and that definitely makes it convenient, but I wouldn't say it's a must to stay there. We stayed in the town of Jamaica, which was at the base of the mountain. (There are lots of Airbnb options there.) It took just ten minutes to drive to the lodge each morning. 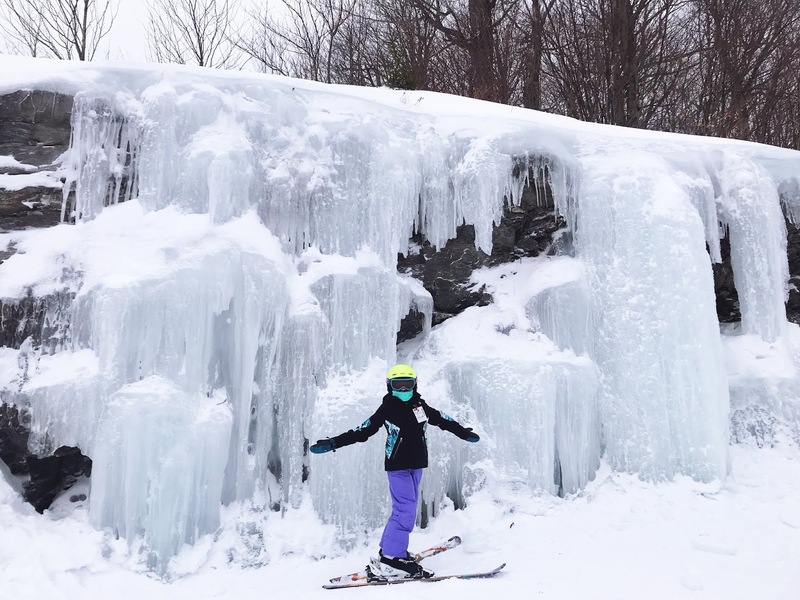 Kids: Stratton is a great place for kids. They can do group lessons or privates (we did privates and the instructors were amazing. I mean, the guy who managed to get my stubborn five-year-old to love skiing almost immediately is pretty much a saint in my book.). There is also a childcare facility right in the village where your non-skiing kids can spend the day. (We never used the childcare, but we heard from others that it was really good. Apparently it does book up though, so look into early!) I also loved that every restaurant was very kid-friendly, had a good children's menu, etc. Mulligan's: We ate lunch here our first day. It's a huge pub/restaurant right in the village with a gigantic menu and plenty of options for kids. 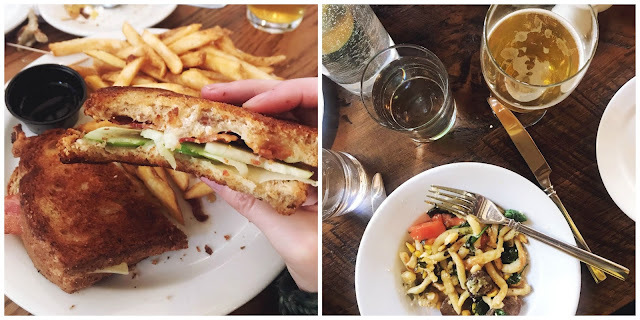 I had the Vermont apple grilled cheese, which was so yummy (Cabot cheddar, Granny Smith apples, bacon, and maple syrup!). They even had delicious soft-serve for dessert. The Fire Tower Restaurant and Tavern: Ate lunch here on our last day. It came highly recommended and it was good though I thought the menu was a little too limited. I had one of the "small plates" for my lunch and it was really yummy: the "Local Bowl," which consisted of spaetzle, sausage, parmesan, greens, and a garlic white wine sauce. Located in the village. Honeypie: Adorable restaurant serving burgers, sandwiches, sausages, and milkshakes and located in an old, refurbished gas station. We ordered takeout one night from here for dinner. Coyote: I got a delicious latte from this tiny espresso bar in the village every morning. They also have a couple of homemade treats and baked goods like cinnamon rolls (yum), energy bites, and more. Have you guys ever been to Stratton? Anything you love there that I missed? 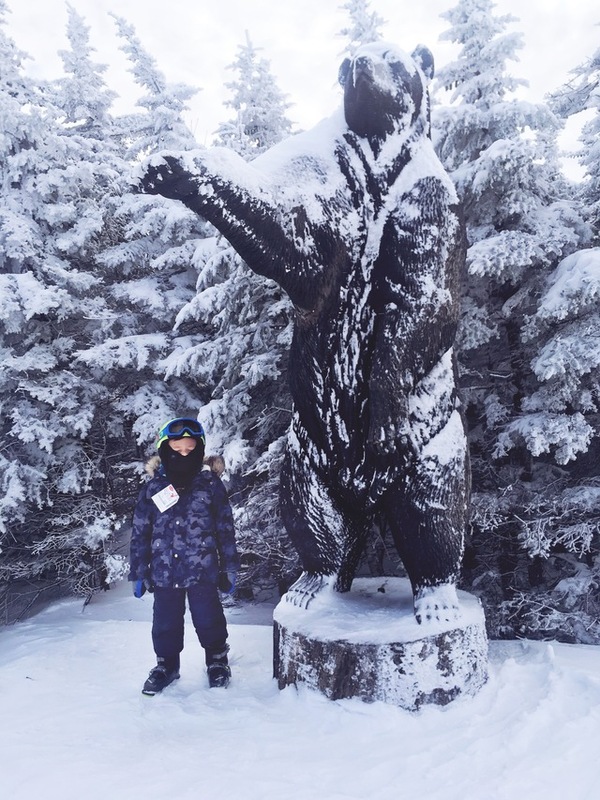 And if you haven't been to Stratton, where is your favorite place to go on a ski vacation with kids? Never been to the state of Vermont. Looks like a place we are use to living with all the snow and nature. Beautiful cabin to enjoy. It looks like you all had so much fun. I have never been to Vermont but I have always wanted to go. I've heard it's just beautiful. I used to live on the east coast, yet NEVER have I ever been to VT! So weird to me! But it looks like a great weekend hideaway! This looks like a beautiful area. I need to get to Vermont one day. My family could use a vacation, and my daughter loves snow. I have not been skiing in a long time and I have never gone with my kids but this seems like a great place to take the family. I will think about it for next year. Looking at the snow makes me so cold lol. The scenery is beautiful though! 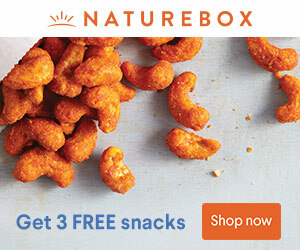 This looks like a pretty amazing trip. I would love to visit Vermont with my family. I have to look into booking a trip. I've only been to Vermont in the summer, but I loved it. It looks like you had a lot of fun and I'm glad your kids enjoyed skiing despite the frigid temperatures. I love Vermont. We have family there and every time we go, we fall in love with it more. That sounds like an awesome place to visit. I have never been to Vermont at all. I love weekend getaways. We are planning one soon. I hope will have a lot of fun! Honeypie would definitely the type of resto our family would love. 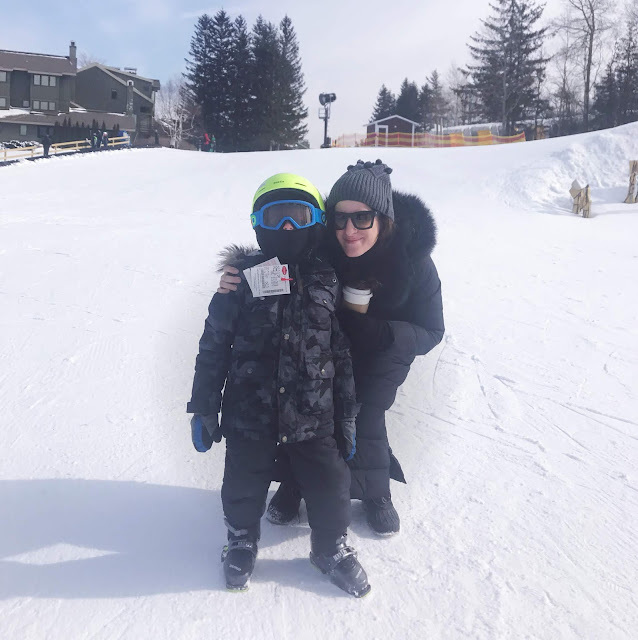 We normally visit Burlington when we go to Vermont, but the Stratton seems like such a fun place to visit too! This looks like a great little ski town to visit. We would love it there. Oh wow, so much snow! I don't think I've ever been to a place with that much snow, I live in the south. I need to add Vermont to my list of places to visit. It looks so beautiful. This must have been an amazing place to explore! All the photos are beautiful! This looks like a great place to visit! I love you pictures too! I was just in Vermont last summer! I would love to experience Stratton, will have to return!